The relatively niche realm of 160bpm is one that, until recent years, has had difficulty breaking into the forefront of the underground scene. The very nature of footwork, juke, and all offshoots of this diverse tempo is that of spontaneity, often comprising of heavily syncopated drum patterns, erratic vocal snippets and unruly structures. These fast, complex rhythms were synonymous with the dancing associated with footwork,a street dance that coincided with the Chicago-born genre in the 1990s. It is therefore not surprising to see why the genre has been floating around the edges of electronic music for so many years. This is arguably what makes it so special however, placing itself within a unique corner of the underground scene, yet consistently making a global impact. Whilst the genre has progressed a lot, it still carries many of the same elements that made the genre what it is today. Largely, we see a lot of footwork that is produced today being somewhat more accessible to the wider underground scene, swapping Chicago street dance battles for dark clubs around the world. Whilst the earlier attempts in the genre had a more stripped-back, sample-heavy approach (see Bangs & Works Vol 1, one of the first major footwork compilations), modern footwork leans towards clean-cut production values, whilst still keeping the vibe so central to the genre. Sole Food is a recent addition to the broad spectrum of 160 music that pushes this ‘modern’ take on footwork. Ran by multi-genre UK producer Aranha, the label focuses on pushing the UK side of the genre and the various styles that come from this. 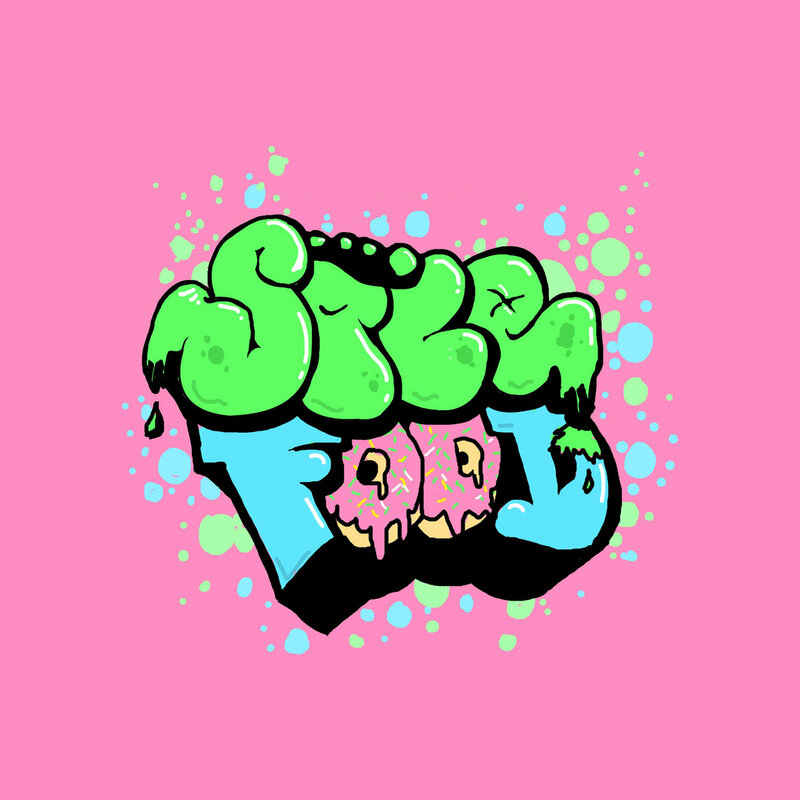 Footwork is heavily influenced from a vast array of other genres, and this compilation brings together these influences in a fashion that forms a unique UK ‘Sole Food’ sound. Aranha demonstrates this refreshing take on the sound through two songs on the compilation. ‘Flavour’ uses chopped vocal samples that are reminiscent of the original footwork sound, yet they sit on top of a choppy halftime beat and luscious synths. The instrumental track ‘Hope’ similarly uses various synths and an uplifting piano melody to lift preconceptions of footwork as being purely a genre suited to intense, fast-paced dance battles. Instead the songs are remarkably versatile, suiting both a late-night bedroom listening session and a vibey mid-set club track. This is a recurring theme throughout the compilation, and a sound that seems to persist in this branch of modern, UK footwork. One of the many highlights of the compilation is Frame’s ‘By My Side’, taking influence from drum and bass and jungle with an unobtrusive rolling beat, accompanyinggentle female vocals and soothing pads. Whilst this song contains many noteworthy elements of the illusive genre, it wears a disguise that, to an untrained ear may not even be recognisable as a footwork tune. ‘LUV’ by Particle similarly keeps the chilled vibes, adding in off-kilter snare hits that are reminiscent of classic footwork tunes from the likes of the Teklife crew, a Chicago-based footwork label founded by the late DJ Rashad. Another two tunes that display this more laid back, melodic side to footwork are ‘Exposure’ from C92 and Clerk 37’s ‘EightySix’, both of which also present impressive production ability. At no point does this eclectic compilation fear falling flat, with each song displaying how space and groove can be implemented differently within this BPM. A personal favourite track of mine is the funky-as-hell ‘Voyager (KrushJuke Edit)’ from Dexter Wansel. It doesn’t take long before you are launched straight into a slap bass groove and a 4×4 beat that makes you want to punch the air with pure joy. Oh… and don’t forget the saxophone solo for good measure. Another influences that is clear throughout various tunes in the compilation is that of grime, a distinctly UK influence that often distinguishes the UK 160 sound. ‘Seasons’ by Lingerz& Hale and ‘Shook’ from Walters both utilise snappy grime claps alongside synths that wouldn’t feel out of place in 140 tunes, however at no point do they just feel like sped-up grime tracks. Instead, in their own way they both cleverly utilise the space given by the tempo, creating unique instrumental tracks that display the immense talent and creativity of both producers. Meanwhile, ‘On Top Of Me (Detroit Edit)’ from Tyrese uses chopped up R&B style vocals to create an exceptional 160bpm wifey riddim style tune. Whilst it has been impossible to mention every single track on this compilation, a big shout out must also go out to Chemist RNS, Fat Hipster, Krabs, Lecoughski, Rawtrachs and Walters, each of who have also brought something incredibly unique to the table.